Wilson, Kansas - A Community of Opportunity! Our Mission: Promote population and economic growth by improving the availability of housing, supporting local businesses and engaging in projects to enhance the quality of life for all persons in Wilson. ​Wilson PRIDE, Inc., is a local non-profit group committed to building a brighter future for Wilson since 2007. Our Mission: is to combat community deterioration and build a better community. We welcome all people interested in improving the vitality and quality of life in our community. Wilson, Kansas ... A Great Place To Live! 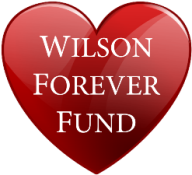 Wilson Forever Fund Established in 2015, was created as a means to retain philanthropic and inheritance funds to a local source, creating sustainability for future generations of projects to benefit Wilson and its surrounding communities. The fund, which is overseen by an advisory board, is dedicated to making grants specifically targeted to serve the Wilson, Kansas population.